I love food and I love the cinema, so together, it's a match made in heaven. 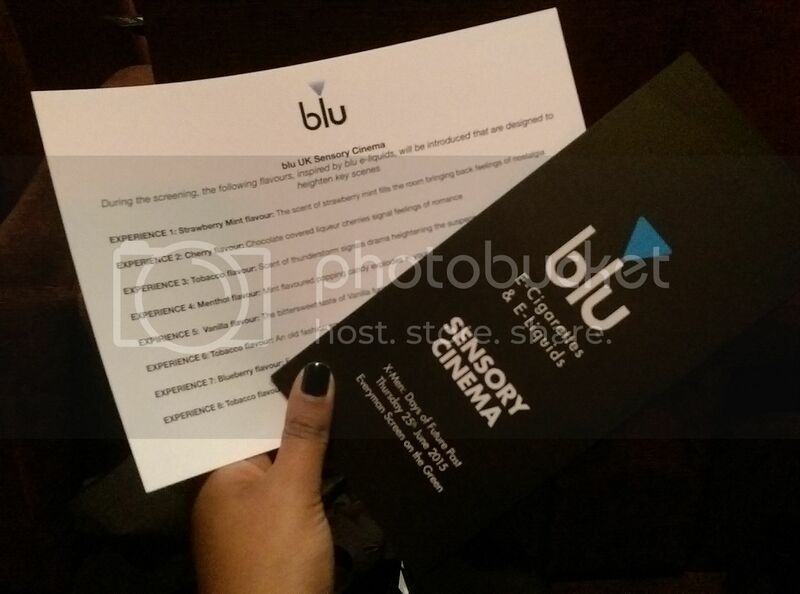 I was invited by blu UK to experience a fun evening of matching food with a film. The aim was to bring a taste of the future to movie fans with two evenings. It was hosted at the Everyman Screen on the Green cinema and the film was was X Men - Days of Future Past, which is a film I've seen tons of times and still love. It was such a comfortable cinema. 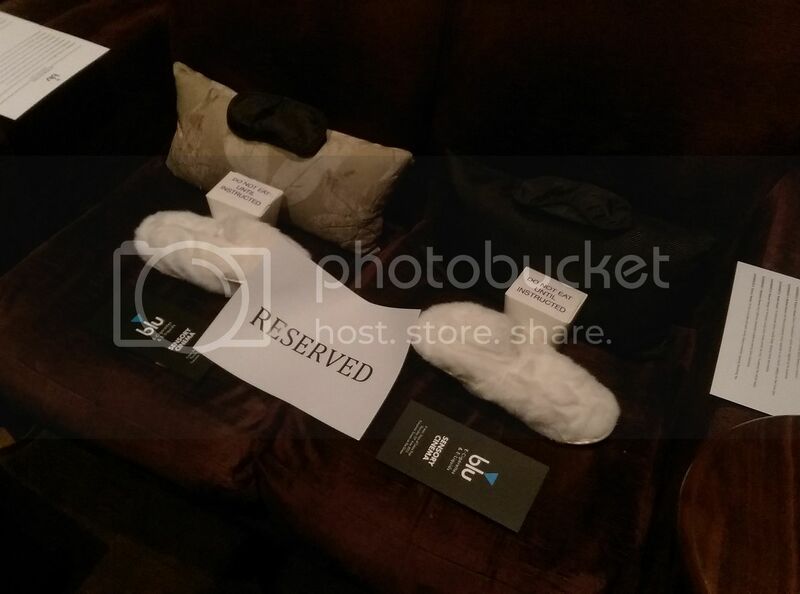 The seats were sofa's and we had fuzzy slippers and foot rests for it. 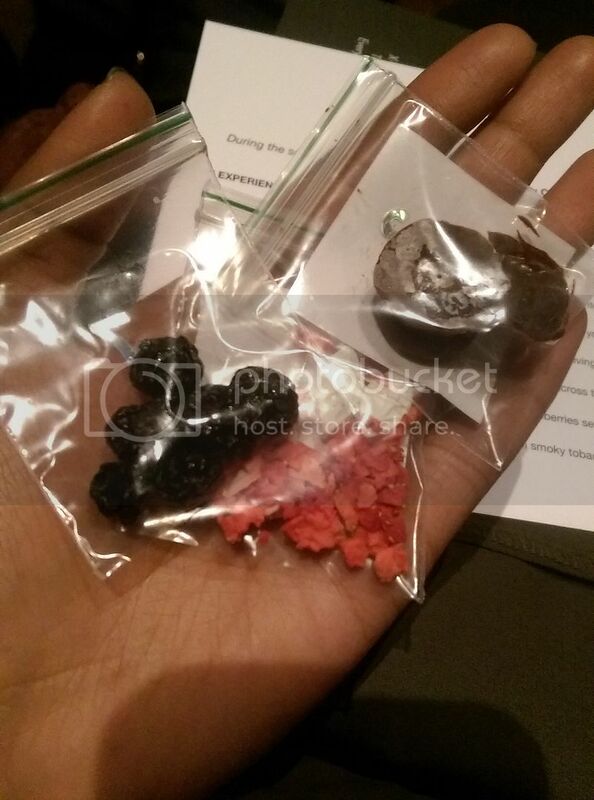 Throughout the film, we were given signs to open our food boxes and pick out certain foods. There were stimulating flavours and smells throughout to match the action on the film. The menu consisted of numbered foods in packets, which were specially curated for the experience. blu are an eCig brand and have just launched a ew line of refillable e-liquids. They have 9 key flavours including Cherry, Strawberry Mint & blu-BERRY. The new kit is Pro Kit gets five times more power than others as well as having a sleek design. I should mention that this is a product for existing smokers only. I am in no way promoting any of you to take up smoking. I'm not a smoker but I prefer being around vapours than actual cigarettes. So fun! 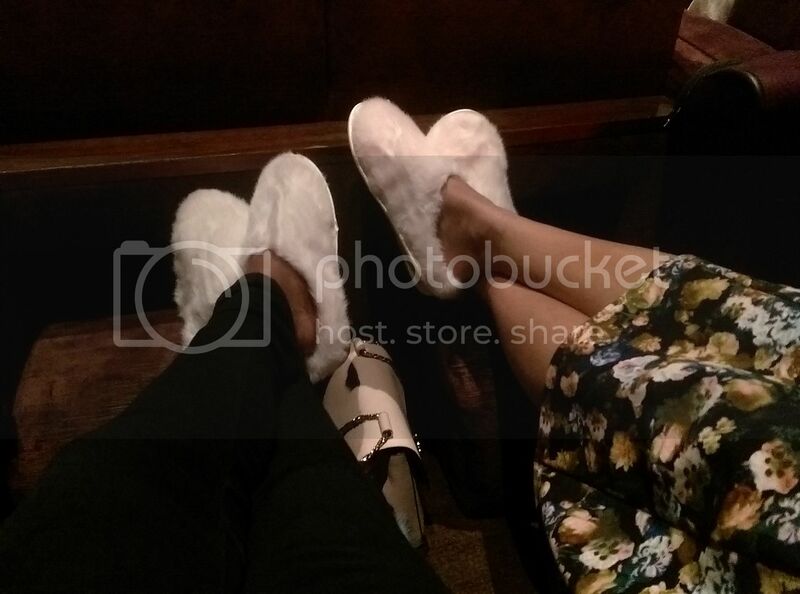 Love the slippers!